Dunkin Donuts Centre is a gigantic gaming and sports indoor arena in USA. Being located in Providence, Rhode Island, it has been the favorite site for many collegiate tournaments. Dunkin Donuts Centre is also called "the Dunk" and has hosted many great and small sports events of Rhode Island. The Centre is owned by the Rhode Island Convention Centre Authority. The Dunkin Donuts Centre was called the "Providence Civic Centre" in the years from 1972 to 2001. In June 2001, the Dunkin Donuts Company bought its naming rights and it was called "the Dunkin Donut Centre" since then. Dunkin Donuts Centre arena holds great seating capacity for its spectators for each game it hosts. There are 11,000 seats for hokey fans, 12,500 for its basketball enthusiasts and 1400 spectators for centre stage or boxing. The Dunkin Donuts Centre was built in November 1972. The main purpose of building the arena was to provide the men"s basketball team of the Providence College and also the increasing demand for the team"s tickets needed a new arena. Another reason of building the indoor arena was to make a playground available for the Providence Reds, a then-existing team of Providence city which played in a fifty-year old auditorium, called the Rhode Island Auditorium. The Dunkin Donuts Centre was bought by the Rhode Island Convention Centre Authority. The Convention Centre Authority spent $80 million on the renovation of the Centre. Resultantly the Dunk was converted in to a state-of-the-art facility with expanded lobby, closed pedestrian bridge from the Convention Centre to the Dunk, a new fast food restaurant, latest video scoreboard, 20 luxurious suites and great new seating place for the arena. At present, there are three resident teams at the Dunkin Donuts Centre. These include the Providence College Friars (since 1972), the Providence Bruins (since 1992) and the American Hokey League. In the past, there were some great teams of both hokey and basketball which resided on the grounds of the Dunkin Donuts Centre which consist of the Providence Reds (1972 to 1976), the Rhode Island Reds (1976 to 1997) and the New England Steamrollers (in 1998). The most interesting thing about the Dunkin Donuts Centre is that it provided a great sporting facility to many collegiate games and tournaments. The most famous of these tournaments are Big East Conference of men"s basketball tournament in 1980, NCAA basketball tournament, ECAC basketball tournament, Hokey East Tournament in 1985 and Frozen Four ice hokey championship of year 2000. Other than that Providence College"s woman basketball team has played many home games on the grounds of the Dunkin Donuts Centre. Also, the University of Rohde Island has used the Dunkin Donuts Centre to play home games on it before the Ryan Centre was built in the year 2002. Apart form the gaming and sports events, the Dunkin Donuts Centre has been bringing great pop, rock and opera shows for its audience. In the year 2007, the Dunk brought a lot of great singers to its fans at the Rhode Island including, Elton John, Christina Aguilera and Hanna Montana. The average Dunkin Donuts Center Tickets price will cost you between $132 and $413, if you are looking for the cheapest seats then catch the event being held at the Dunkin Donuts Center, Providence on 27/04/2019. The average ticket will cost you the highest on 20/07/2019 at the Dunkin Donuts Center, Providence. Minimum get in price is for Dunkin Donuts Center Tickets is $23 for the event being held at the Dunkin Donuts Center, Providence on 26/04/2019 , there are some venues that have a much higher get in price, for instance the cheapest seats at the Dunkin Donuts Center, Providence on 01/11/2019 will set you back $132. 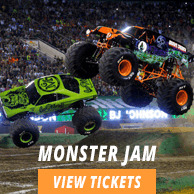 How do i get tickets to dunkin donuts center from your site? What is the mode of payment for dunkin donuts center tickets? Dunkin Donuts Center Tickets can be purchased via Visa, Master Card, American express and Discover. No other forms of payment are acceptable. Will you guys charge tickets for Disney on Ice, Providence Rhode Island for my two year old? Charging of Dunkin Donuts Center tickets for Disney on Ice depends on the rules and regulations of the venue. Contact the venue for details. Will a view from my seat dunkin donuts center be clear? All the seats we have with Dunkin Donuts Center Tickets come with the best view so you can be sure yours will be good as well. Are lil wayne rohde island tickets guaranteed with you? Dunkin Donuts Center Tickets are 1005 guaranteed with us as we are a guaranteed and certified site. Where will you deliver my dunk circus tickets? Your Dunkin Donuts Center Tickets will be delivered to the address mentioned on your card details. How Do I reach the hannah montana concert virginia? Go to our Dunkin Donuts Center page for the venue directions of Hannah Montana concert. How do i order providence tickets over the phone? Please call our customer center at 866-861-4784 and our rep will take care of the rest! Do you have cheap dunkin donut center tickets? We have loads of cheap Dunkin Donuts Center tickets with us, so grab yours now! what does full view seating mean dunkin donuts center? It means that your seat has the perfect view and is without any obstructions. Can you help me with dunkin donuts center seating views? Hit the Seating button on Dunkin Donuts Center to view the Seating Chart.